The airport at Knock opened for flights on 20 May 1986.The airport was intended to bring employment to the West of Ireland and make it easier for pilgrims to visit the nearby Shrine at Knock which commemorates an apparition of the Virgin Mary in 1879. The airport at Knock is located about 8 miles from Knock village. Charlestown is actually the nearest town to the airport. Several major car hire companies have desks at Knock – such as Thrifty , Hertz and Budget . You can reserve your Knock car hire from this site – just click on any of the links to the car hire companies on the left. You are advised to book your hire car in advance especially during busy holiday periods to ensure the lowest price and to get the type of car you want. 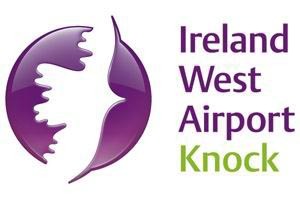 The many towns, villages and attractions of the West of Ireland are within easy reach of Knock International Airport. (See distances here). Hiring a car is the best way to get around the more remote parts of Mayo, Galway, Sligo and Roscommon. Public transport can be very hard to find and usually only passes through the major towns. Save money and see much more of the country by driving yourself around .